Remember that Likes for Love campaign we did back in February? 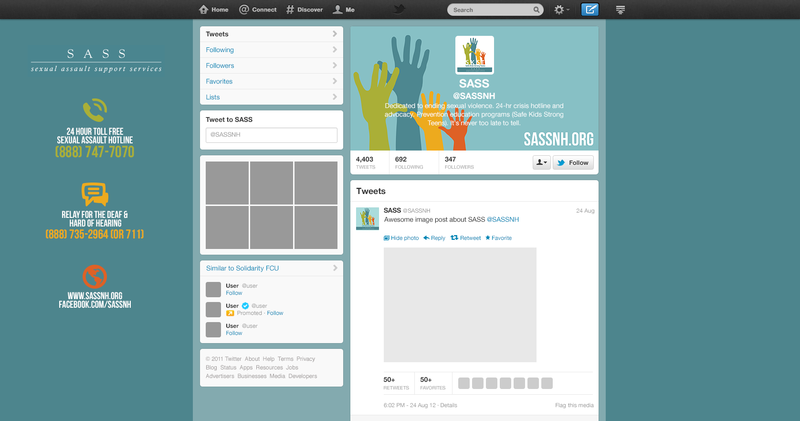 Our Facebook fans helped us pick a non-profit to donate a social media makeover to! 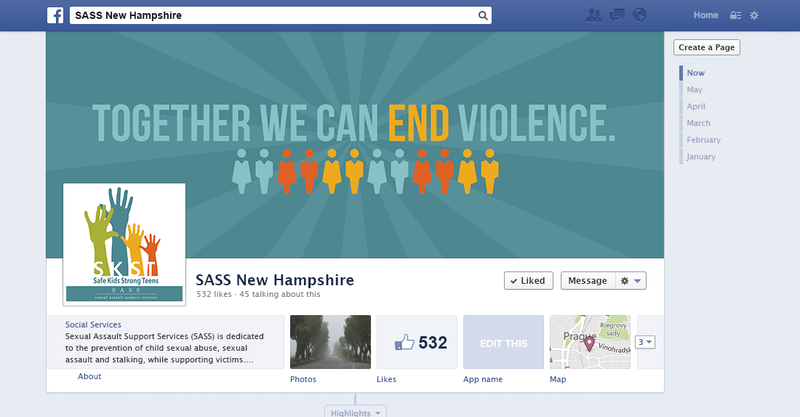 We’ve been working with SASS New Hampshire for the past month to makeover their social media outlets and provide them with resources to use in future social media endeavors. Check out their Facebook and Twitter pages for updated designs and posts! We had a lot of fun working with SASS and creating new materials for them to use on their social media channels, and are very excited to be involved with such a wonderful non-profit! Know someone running Social Media for a non-profit? Head on over to our blog and check out our free Social Media Management tips!